Share the post "Quick plays: D’ERCOLE, THE ROCKET DOLLS, GREGORY ALAN ISAKOV"
Album number five from D’Ercole which consists of Phil Vincent – a man never shy of being in a recording studio! – guitarist Damian D’Ercole and drummer BF D’Ercole. Other guest guitarists include David Zychek (who has passed away since these recordings were made), Paul Sabu and Vince O’Regan (who Vincent worked with in the band Legion). Overall not a bad album which tips a musical hat to 80′s hard rock from the likes of Dokken and Skid Row. The production is a bit thin at times especially on the drums, however the guitar riffs and solos are high in the mix. ‘Out Of Time’ and ‘Get Undone’ (with a Led Zep riff in the mix), are stand outs and deserve to be played out loud. 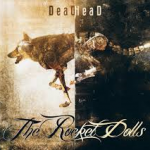 The Rocket Dolls hail from Brighton and the trio have just self-released new album “DeadHead”, and if you are a fan of Alice In Chains or Nickelback then this one is gonna be right up your street. The album is a massive sounding polished affair from the off, with melodic opening track “None of This Is Right” setting the tone. Now, there are some good songs on “DeadHead”, the slower, made for radio “The Last Thing On My Mind”, the slow burning “Stop The Dead Men Crying”, “She Said” or “She Started Something”, however, as the album gets progressively heavier this where it becomes more interesting. The final handful of tracks here include “Dreaming”, “The Desperate”, “Strain” and the bass led Metallica like feel of “Trigger” and this feels like the right direction for the album to be pulling you. Gregory Alan Isakov has previously self-released his previous albums and ‘Evening Machines’ is the first on a label. He is not only an accomplished musician, but also a full-time farmer who sells vegetable seeds and his own crops. Indeed he records his music in his barn, although the album is mastered in a standard recording studio. Musically the album is led by Isakvov’s gentle singing which is backed by subtle, yet never overpowering arrangements. Mercury Rev came to mind when listening to this, none more so than on songs like ‘Too Far Away’ and ‘Caves’. Elsewhere, the listener is gently drawn along by ‘Where You Gonna Go’ – dreamy folk pop at its best. 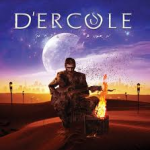 This entry was posted in ALBUM REVIEWS, ALBUM REVIEWS (Mobile), All Posts, Quick Plays and tagged album, alternative, D'Ercole, DeadHead, Evening Machines, GREGORY ALAN ISAKOV, Made To Burn, melodic rock, Phil Vincent, review, rock, the Rocket Dolls. Bookmark the permalink.